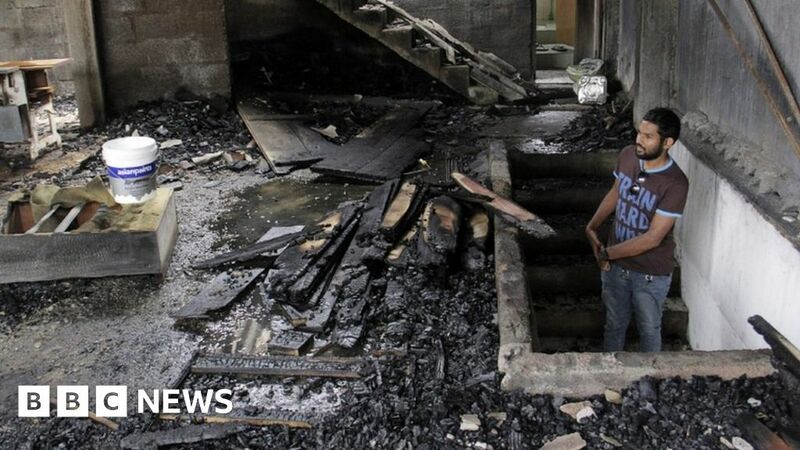 Sri Lanka has lifted a state of emergency that was put in place after an outbreak of violence against Muslim communities earlier this month. Several people were killed and hundreds of Muslim-owned businesses and mosques were damaged in attacks in the central district of Kandy. Curfews and social media bans were brought in to try and quell tension. Violence has risen in the Buddhist-majority country since 2012, said to be fuelled by hard-line Buddhist groups. They have accused Muslims of forcing people to convert to Islam and vandalising Buddhist archaeological sites. Under the state of emergency, Sri Lankan authorities were able to arrest and detain suspects for long periods if they deemed it necessary. Hundreds of troops were deployed to the Kandy area, and tear gas was used after some groups continued to defy government curfews. President Maithripala Sirisena announced he was lifting the measure on Sunday on his Twitter feed, having assessed public safety. Nationwide bans on social media websites including Facebook were also lifted earlier this week. It was the first time in seven years Sri Lanka had imposed a state of emergency. The country was under the measure for nearly three decades when the government fought Tamil rebels in the civil war that ended in 2009.